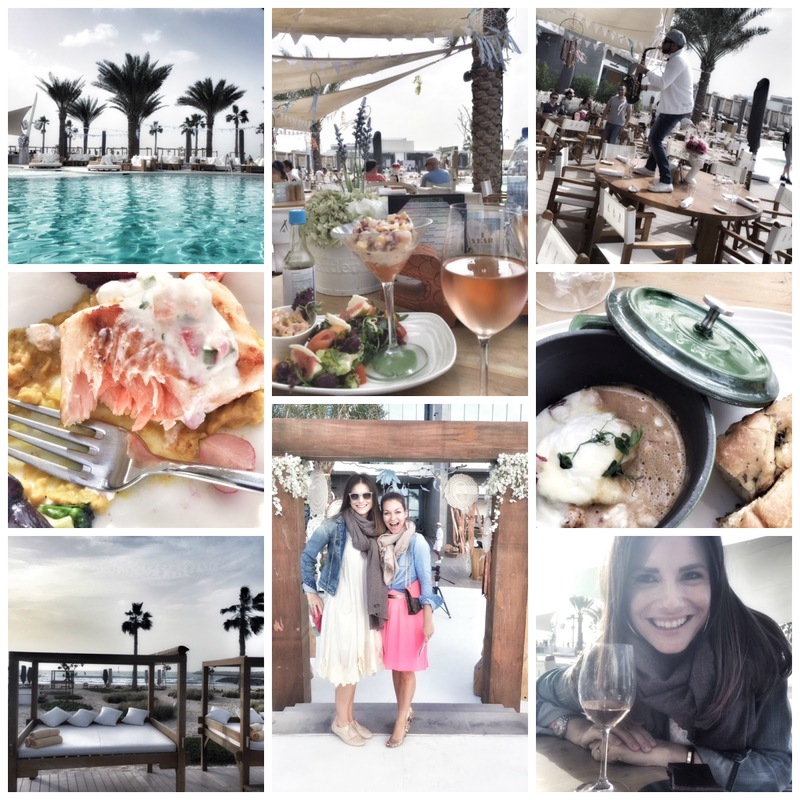 Best way to start the week… Nikki Beach Dubai’s recently launched ‘Amazing Sundays Brunch’! Yesterday, we made the weekend last little longer at the stunning resort. Can’t wait to do it again! When I am "off mama duty" and I get to chill and unwind by the beachside with my bestie, it’s gonna be a good time. It sure was - thanks to a great atmosphere, lovely setup and delish food. We loved the boho chic look, happy trendy vibes with cool tunes and live performances. The brunch is from 12 to 4 pm, a simple elegant menu to choose from served at your table. Not the overwhelming buffet option. Everything was good, from a simple sushi selection, a choice of egg dish (favourite: Lobster oeuf cocotte), main course and a sample of mini deserts. The brunch including a selection of Frosé cocktails, beer and wine by the glass is AED350. The nonalcoholic brunch AED 250 including soft drinks, chilled juices, water (still and sparkling) and mocktails. The deal also include (subject to availability) a complimentary pool bed / beach access for after dining. Loved the lively but not busy vibe of the week day brunch, feeling more exquisite and private. It’s a cool and classy brunch by the pool. A great option for girlfriends catching up over rosé wine and yummy food in beautiful surroundings. The service was super friendly, maybe not very efficient but when you feel on holidays, nothing to stress you about… you let it go. A must do lovely mamas!